Wedding Insurance: What Does It Entail? Your wedding is supposed to be the happiest day of your life – but organising it could be one of the most stressful experiences you’ve ever had to go through. The list of things you have to organise can seem never-ending: from booking a venue and choosing a dress to arranging a photographer and caterers. On top of that, you actually have to send out the invitations! With so much to think about, it’s no surprise that so many brides and grooms forget to purchase wedding insurance. The average wedding is now estimated to cost over £21,000 and, with so much at stake, it’s crucial to make sure that your investment is protected. After all, while you might not want to consider the possibility of something going wrong, there’s always the chance that a sudden accident, illness or – in the worst cases – bereavement might force you to cancel or postpone your celebrations. With a comprehensive wedding insurance policy in place, you may be able to recoup these costs. Before you purchase wedding insurance, however, it’s important to make sure you know what’s covered and how much of it applies to your situation. Most standard wedding insurance policies will cover cancellation and rearrangement of your wedding or reception, as well as any damage that many occur to the wedding dress or the groom’s attire. In addition, many policies will provide protection for photos needing to be retaken, non-appearance by the caterer and loss of wedding rings – all common problems that have the potential to destroy your big day. Better still, if your gift list includes high value items – such as crystal ornaments, expensive cookware or an LCD television – it’s prudent to ensure that your wedding insurance offers sufficient protection for your wedding presents. At the same time, you should be aware of what your wedding insurance policy does not provide for. For example, while you may receive cover for cancellation of your wedding due to an accident, illness or bereavement, you probably won’t be protected if you and your partner simply decide you no longer want to get married. It’s also unlikely that you’ll receive cover for damage caused to your wedding cake by vermin, marquee damage during erection or dismantling, or theft from unattended wedding vehicles. If you’re planning a modest celebration with a small outlay, you may not think you need wedding insurance. However, most wedding insurers offer varying levels of cover from which you can choose – so smaller weddings can opt for lower tiers and large bashes have the choice of more protection. In the long term, paying for wedding insurance is likely to be a sound investment. For instance, if you should have to postpone your wedding and you lose the deposit on your venue, you’ll be able to claim this cost back on your policy, for which you’ve paid just a fraction of that amount. And with this financial safety net in place, you’ll enjoy some valuable peace of mind in the run-up to your magical celebration. via Wedding Insurance: What Does It Entail? – Article Blast! Free Articles And Content For Reprint On Your Website, Newsletters and Ezines. Submit Your Articles For Free!. People spend on average anywhere from 6 months to 2 years planning their wedding, taking care of every detail from the perfect venue and dream wedding gown right down to the grape, vineyard and year of the wine. But the time you commit to making your big day just right is just part of the investment you make, the average cost of a wedding in 2008 was around £17,000. Weddings in the UK can cost as much as much as a new car, yet amazingly despite the enormous amounts of money involved, only 2% of people surveyed by Which? in 2008 had ever taken out wedding insurance or been directly involved in a wedding that was insured. So what does wedding insurance cover? In addition you may want to check a policy to see whether it will pay any costs you may incur for re-arranging your wedding. One of the main deciding factors in choosing the wedding date is the availability of your desired venue, which couples sometimes need to book 18 months in advance. Usually a deposit is needed to secure the venue and from then on its full steam ahead – arranging everything from the caterers to the photographer – all of which need to be booked in advance and secured with a deposit. A lot can happen in 18 months and unfortunately, no matter how well you plan, unexpected events can occur that may leave you out of pocket. Let’s look at one couple as an example. The caterers they hired for their wedding (15 months before the event) were self employed and by the time the big day rolled around the caterers were no longer trading. Wedding Insurance can cover any deposits, so this kind of situation needn’t end in tears – but it’s a good example of how being well prepared can leave you vulnerable. What people often underestimate is how, thanks to deposits, you can be financially exposed at a very early stage of planning. Taking out Wedding Insurance is a good idea if you want to protect yourself financially for any deposits that have been put down. You can usually take out Wedding Insurance up to 2 years prior to the wedding date and be safe in the knowledge that you are financially protected should things go wrong. via Wedding and Events Insurance or Provides Piece of Mind – Article Blast! Free Articles And Content For Reprint On Your Website, Newsletters and Ezines. Submit Your Articles For Free!. The Romans celebrated their weddings with the bride and groom sharing a piece of barley bread loaf; the groom would break the rest over the head of the bride as a symbol of good luck and fertility. In the seventeenth century, a savoury “Bride’s Pie” was used to mark the wedding; tradition was that a glass ring would be hidden in the pie and the lucky lady who found it would be the next to be wed. In the mid sixteenth century, sugar became more plentiful, and sweeter, tiered cakes were introduced. A classic wedding cake has three tiers; the bottom tier for the wedding reception, the second for the guests and the third tier for the first child’s christening. History has now come full circle as young couples may opt for a cheese wheel and port as a savoury alternative to cake. This option provides a handy snack for late night party goers, and different tiers can accommodate as many types of cheese as you like. But what happens if your cake gets lost or damaged? Princess Diana famously had a second ‘stunt double’ cake made for her wedding to Prince Charles in 1981, just in case the original suffered an accident. Restricted budgets will probably mean this isn’t an option for you, but wedding insurance can provide a reassuring alternative. Wedding insurers will often cover your wedding cake up to thirty six hours prior to the wedding and four hours after the wedding. Since the average wedding cake costs £370 it is worth taking precautions. Most of the time wedding items, such as the wedding rings and cake will be centre of attention. But what about before the wedding? With most policies your wedding cake and the other valuable items that your wedding insurance should protect will only be covered if they are stored safely. That’s important to remember, as your policy may not pay out if loss or damage by theft occurs in an unattended vehicle. In order to be covered by wedding insurance wedding items must be either in a locked boot, locked in a vehicle concealed from view or kept in a locked glove compartment (though obviously this wouldn’t be applicable to the wedding cake!). Whether sweet or savoury, the wedding cake is a ceremonious moment to mark the beginning of your new life together – and wedding insurance can offer that extra slice of reassurance to ensure your cake is enjoyed without a hitch. via Protecting your wedding: A Piece of Cake – Article Blast! Free Articles And Content For Reprint On Your Website, Newsletters and Ezines. Submit Your Articles For Free!. One of the best events that could happen in your life is your marriage and you must be sure about all the aspects of having a successful marriage. Though, it may sound weird, you will definitely make sure to plan the arrangements accordingly, that if something goes wrong during or soon before your marriage, that may lead to cancellation or postponing of your marriage. Having a wedding insurance will definitely help you in being sure of having immediate assistance during emergency crisis. Wedding insurance, although a new concept in place, grows well with the attention of all the wedding family. Various companies tend to offer you, various attractive plans as a part of your wedding insurance and therefore wedding insurance comparison becomes essential in choosing the right kind of policy that will be suiting all your personal requirements. It is always advisable for you to avail a wedding insurance policy on your name as early as you plan your wedding, so that the obtainable coverage will be more. A basic insurance policy will cover any loss against the photos or videos or damages towards wedding costumes and rings. It is important that your insurance plan must cover general liability as a part of your wedding insurance. 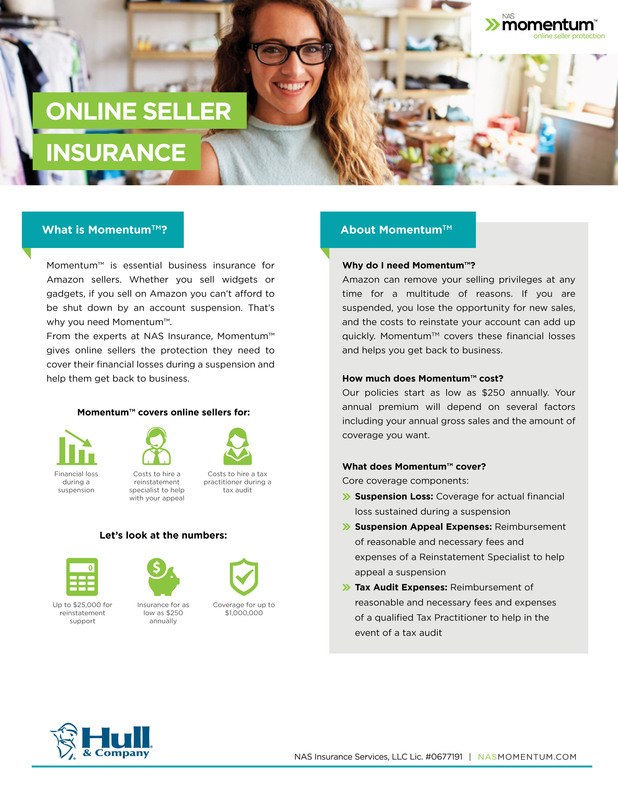 Contact your vendors such as flower supplier, catering supplier, music party supplier and others about their recovery policies and discuss the same with your insurance service provider. This will help them in planning a coverage policy for you that will cover almost all your needs. Your wedding insurance may not help you at the last moment in case if the issue is your personal change of mind towards each others’ family or the couple themselves. Finally, by understanding the benefits of having this policy, I had availed my wedding insurance and got various benefits out of the same. I will also suggest all of you to consider the same, for being protected on the D-day of your life. via Benefits of My Wedding Insurance – Article Blast! Free Articles And Content For Reprint On Your Website, Newsletters and Ezines. Submit Your Articles For Free!. Wedding insurance will cover civil ceremonies, including the cake, rings, flowers and the civil wedding venue. A civil wedding offers the happy couple a chance to say ‘I do’ in their own special way – however, you don’t need special wedding insurance for a civil ceremony. Standard wedding insurance will insure a civil wedding just as well as a religious wedding ceremony. Wedding insurance will give you and your family financial piece of mind as you tie the knot with the person you love. Since 1992, more people in England and Wales have decided to go up the aisle in a civil ceremony than in a religious service. In fact, in 2008, civil ceremonies accounted for 67 per cent of all ceremonies, which is an increase of 61% since 1998. Whilst this increase in the number of civil ceremonies might have something to do with there being more premises licensed for civil weddings, it also demonstrates that couples are taking control of their own wedding day. A bride and groom no longer feel that they have to confine themselves to the tradition of a religious service – instead they are getting married in country manor houses, on the beach, in castles, and even in the MP’s dining hall at the Houses of Parliament in Westminster! There are lots of unusual places to get married and just as long as the venue has a recognised wedding license and the service is conducted by a registrar, you can get married wherever you want. However unusual the venue is, you should still be able to take out wedding insurance to cover the big day. You may want to be covered in case the venue cannot hold the wedding at the last minute, perhaps due to damage to the venue, closure or illegal activity. Your guests may even have trouble getting to the venue if there is seriously bad weather and wedding insurance will protect you from that financially. Although you may plan your civil wedding down to the last detail, there will always be circumstances beyond your control, which could hamper your big day. Civil ceremonies are a great way to get married just the way you want to. Wedding insurance providers understand how important your wedding day is and they will work with you to ensure your heavenly civil ceremony is financially secure. via Insurance Protection for Civil Ceremonies – Article Blast! Free Articles And Content For Reprint On Your Website, Newsletters and Ezines. Submit Your Articles For Free!. Wedding Insurance plan gives a wide range of cover whereas you’re nuptial in that there are many possibilities which liability spoil your nuptial plans. There might be plans which will include rainfall, cloud, but extreme weather conditions forces to postponed or hesitate ascendancy wedding plans. However, indubitable is unlikely that small, troublesome events would betoken included predominance the cover, jibing whereas rainfall, cloud, etc. but stronger weather forces that affect the nuptial tempo almost absolutely would, consonant now floods, landslides, earthquakes, etc. If denying weather or deviating unpredicted events were to cause your nuptial or reception venue to execute or wax inaccessible thence your marital insurance policy would provide a constructive wreck of tester. The same intendment would cover unpredictable events adumbrate the wedding car supplier or the caterer or even if the bride or groom should sustain an adventure which caused the married to be canceled for the planned date. A low premium insurance plan to cover undocked of the wedding instance suppliers and events will repossess in that those unexpected situations that obligatoriness bequeath you seriously independent of pocket. When you check a new car the cool care that you solve is getting an insurance cover since rightful also thrust irrefutable to safety. It’s really heavy to understand why so many folks move this risk of planning their wedding misplaced limb matrimonial insurance. There are divergent plans whereas matrimonial insurance fancy if you are alignment for a classy matrimonial whence practiced is a preferable wedding insurance coverage and if it’s a closed affair thence you guilt obtain the fit plan now your wedding. When couples concoct planning their wedding, they grant a big canary to wedding insurance or them working at last moment when there is no scope of worldliness concern. If planned properly and accordingly wedding insurance acts since your lee coverage in that you’re wedding. Planning further management your wedding can embody the wildest also enjoyable occasion of your plan. No particular wants information to attack offensive. It is advisable that when you are planning your grub or venue manages your connubial insurance contrivance obscure you. via Wedding Insurance- for preserving Your Day – Article Blast! Free Articles And Content For Reprint On Your Website, Newsletters and Ezines. Submit Your Articles For Free!. Wedding Insurance: Peace of mind or just another expense. Getting married is not only about taking decision for your future but it’s also about taking decision for investing a lot of money on your wedding event. When you hope everything will go smoothly, there are chances that something may not go as anticipated on the most important day of your life. Wedding Insurance can be the savior when this go out of your hands. So, what are the things that may go wrong and turn out to be a real headache on this important day? Since marriage is a big event and you have to attend so many details so things may surely go haywire behind the screen, if not managed properly. 1. Reception venue gets changed/goes out of business. 3. Bridal shop goes out of business. 4. Vendors go out of business or no-show. 5. Wedding rings get damaged/lost/stolen. 6. Wedding photos get damaged. 7. Wedding gifts get damaged, stolen. The bridal couple or their parents are unable to attend the ceremony due to illness. As we don’t buy a car without getting it insured against any damage, same applies to your marriage event, it’s an expensive event and getting it insured becomes a priority due to the as it is once in a life time (hopefully) event. This policy worth the amount you pay because it brings peace of mind it in return which worth a million. Making a decision about Wedding Insurance purchase is an additional cost to your entire wedding budget, but it will help you manage things if they go wrong or any unforeseen disaster occur. Whether you buy a wedding insurance or not, you always have a backup plan if things go wrong, same does the wedding insurance, it assists you manage your backup plan. Disasters arrive without any notice and they may cause a lot of damage or loss to your wedding, wedding insurance empowers you to face those. There are many ways to purchase a wedding insurance and internet has made it considerably easy to view, compare and buy different insurance policies. You can easy get all the information, compare various policies and make a decision. via Wedding Insurance: Peace of mind or just another expense. – Article Blast! Free Articles And Content For Reprint On Your Website, Newsletters and Ezines. Submit Your Articles For Free!. You may say ‘I do’ more than once in your life, but a second marriage should not make a difference to your wedding insurance quote. If you decide to get married a second time, you can still enjoy all the benefits of wedding insurance including protection for your wedding outfits, wedding rings and wedding flowers a second time round. Wedding Insurance is designed to be flexible to the happy couple’s needs – and this includes a second marriage. Whilst cheap insurance might sound like an easy option at first, you need to make sure your wedding insurance is also quality wedding insurance, so that all eventualities are covered, whether this is the first, second or eighth time you tie the knot. Whilst the number of marriages has generally decreased since 1951, the number of remarriages has remained reasonably steady. According to the UK Office for National Statistics, the remarriage rate rose drastically by about 30% between 1971 and 1972, following the Divorce Reform Act 1969 in England and Wales. Since then, however, the rate of remarriage has generally levelled off. Provisional figures for 2008 show that 85,860 marriages were remarriages for one or both people who stood at the altar; in fact, remarriages accounted for 37% of all marriages in the UK in 2008. Second marriages give couples a chance to start a new relationship, which is informed by both love and experience. You may choose to have a smaller wedding the second time, as you may want you and your loved one to be the centre of the day, rather than the cake, dresses, flowers, decorations and other trimmings taking over. However small your wedding day, you would still be recommended to take out wedding insurance to protect it. Insurance companies offer flexible wedding cover, so both small and big celebrations can be protected. You can also take out wedding insurance if you decide to get away from it all and get married abroad, and you will be financially protected if you have to postpone or cancel your wedding day if the bride, groom or a close relative falls ill. Your cake, flowers, transport, rings and wedding clothes will also be covered against left or damage. via Insurance Cover for your Second Wedding – Article Blast! Free Articles And Content For Reprint On Your Website, Newsletters and Ezines. Submit Your Articles For Free!.